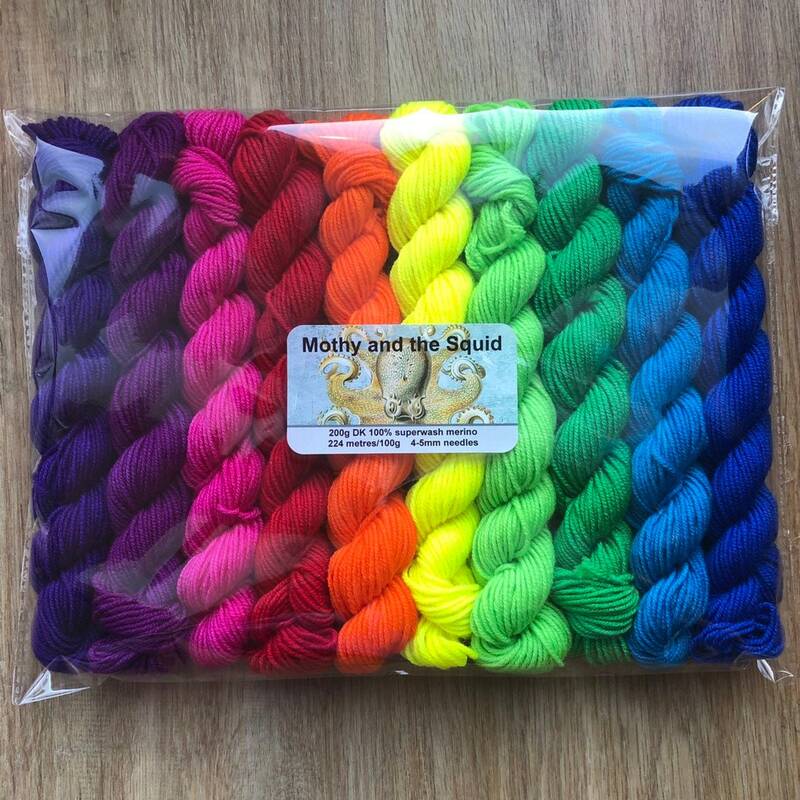 Ten bright colours in one rainbow mini skein set of soft squooshy DK yarn. Each weighs 20g (just over 200g of yarn in total). You get one of each rainbow colour as shown in the pictures. 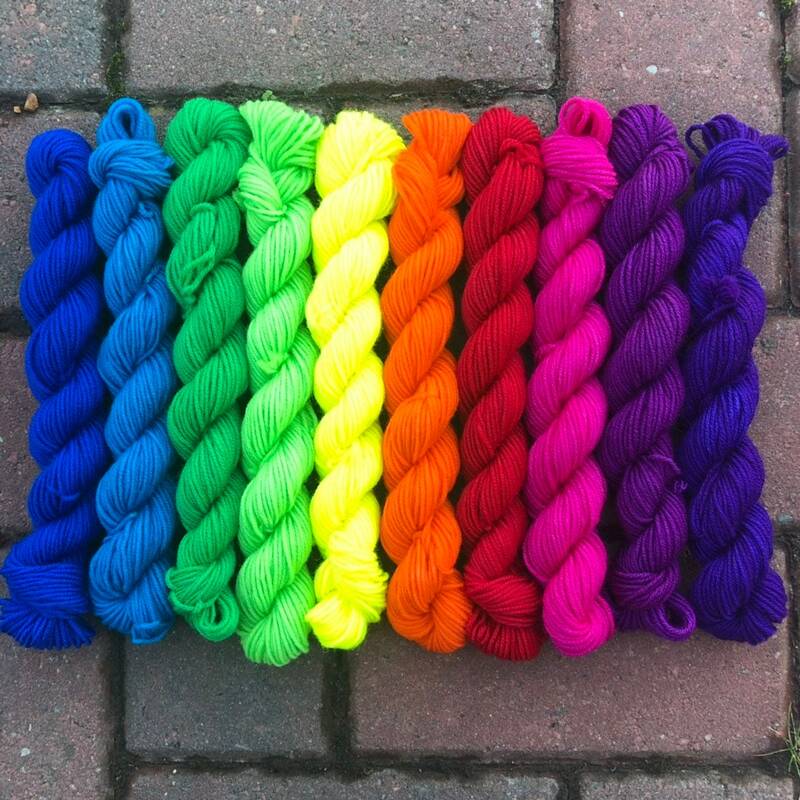 Plenty of yarn for full size rainbow shawls or for adding vivid colours to any project. I do not cake miniskeins. It is a superwash treated DK weight yarn spun from 100% merino wool. It is suitable for approximately 4mm needles. About 44 metres per 20g miniskein, adding up to 448 metres per 200g lot.